Compression is a tool used on pretty much every recording you will ever hear, yet this extremely useful and versatile tool is often overlooked by guitar players as part of their rig. 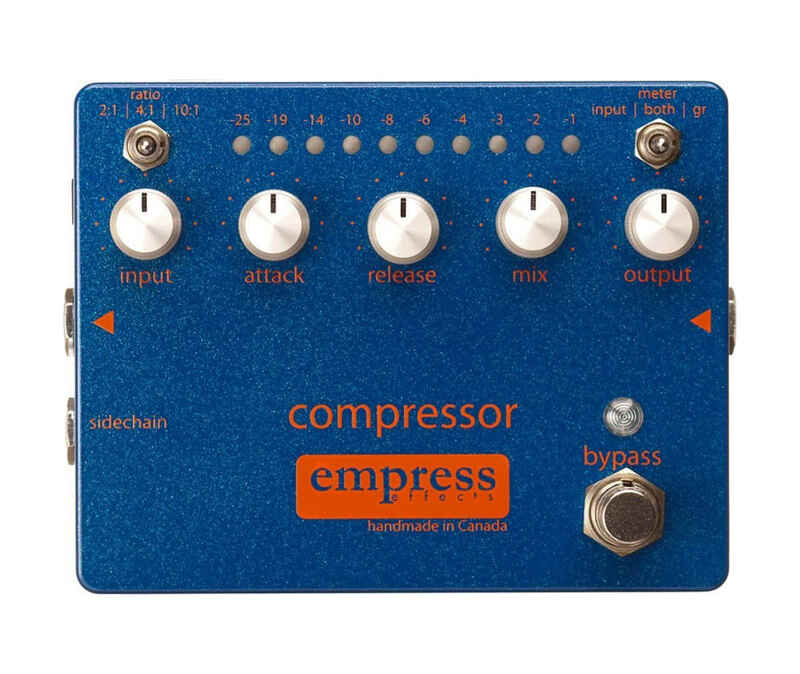 Other compressor pedals are often limited by oversimplified controls and heavily colored sounds. Empress has created a truly transparent compressor, complete with all the controls found in the studio. The result is a tool that allows for a wide range of sounds from subtly adding sustain to getting the "quack" that country players love. Empress also included a mix knob to blend in the dry signal for an even more transparent sound and a gain reduction meter so you know what the compressor is doing at all times.